Teaching kids to budget is a great way to prepare them for life at university and work, but, as most of us know, it's not always the easiest skill to learn. Keep it simple with some child-friendly games and activities, and try to lead by example, especially when going shopping with kids. If you're stuck for ideas, we've come up with a few ways to help kids of different ages to save and spend their money sensibly. 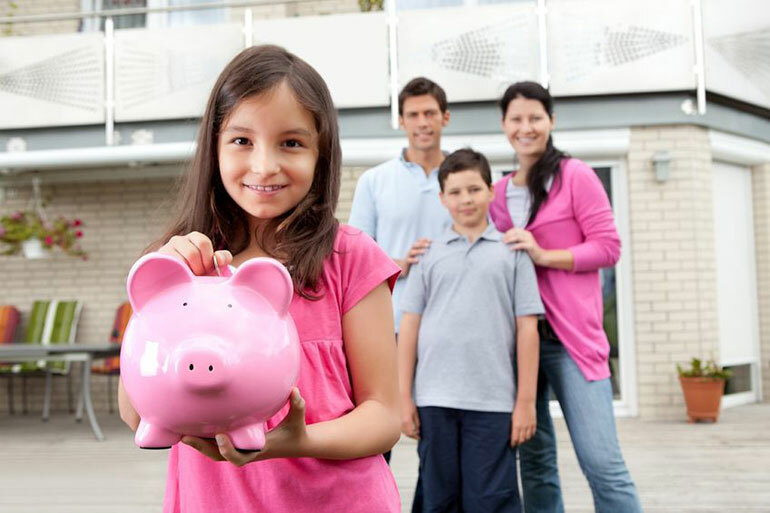 Experts often recommend starting to teach personal finance at the age when children start saying, "I want! ", so try introducing pocket money to your child around this time. One idea is to match their pocket money to their age, but this all depends on your personal preference as a parent. Make sure you give pocket money each week on a set day for consistency, and give it in change so that it's easy to divide up for different purposes. Try the "three jars" method, where your child has one jar for saving, one for spending and one for sharing. Making colourful lids and labels for jars in a family arts and crafts session makes it fun and also gives you some time to chat to your child about the purpose of each of the jars. When your child receives their allowance, ask them how much they want to save, spend and give to something or someone they care about, then pop the money in the corresponding jars. Once your child is used to the idea of having a certain amount of money to spend each week, involve them a little more in the family finances. When you go shopping, explain your choices, such as why you chose the supermarket brand product over the branded one, and why you won't always buy exactly what your child wants. Ask your child questions such as; "How much of this do we need? Do we already have this at home? Can we make this ourselves? ", to encourage them to think about careful spending. Give kids a real life budgeting project, such as a trip to the shops to pick up some essentials. Explain how much money they have to spend and look through the cupboards and fridge to see what groceries you need the most, then make a list together, adding up the total. Get them used to the idea of "more than" and "less than" by asking questions like, "Does that bottle of juice cost less than that bottle of juice?" or "Is that more money than we have in our budget?" Until now, your child may have only been spending money on extra luxuries like sweets and games, but at this age it's good to establish the idea of disposable and non-disposable income. Have them take responsibility for one of their daily expenses, like buying lunch at school, and explain to them that this money is for a specific purpose. You may also choose to use our budgeting software to give your child a visual breakdown of what an adult's budget looks like (either with a demo account or your own), highlighting the difference between the 'essential items' (food, some clothes, bills, and so on) and the 'fun' ones (toys, a meal out, etc).